Johnson & Johnson has been sued recently in several lawsuits that claim the company did not adequately warn consumers that use of its baby powder increased the risk of developing cancer. In the most recent case out of California, a jury came back with a verdict for Johnson & Johnson to pay $417 million to a woman who claims she developed ovarian cancer after using their baby powder that contains talc. 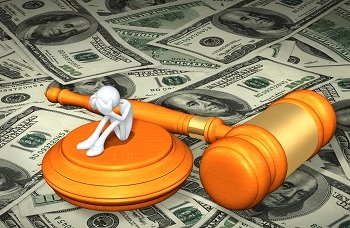 This includes $70 million in compensatory damages and $347 million in punitive damages. A spokeswoman for the company says they will appeal this case as they have others, stating that science does not support a conclusive link between talc use and cancer. While concerns are widespread that talc use, particularly near reproductive organs, may increase the risk of ovarian cancer, the International Agency for Research on Cancer classifies talc as "possibly carcinogenic" because of the mixed results of studies. However, the company has still lost four of five similar cases, resulting in jury verdicts requiring Johnson & Johnson to pay $300 million in penalties.